Council tax. We all have to pay it, and every year it goes up, leaving us to dig deeper and deeper into our bank accounts simply to keep up. But what would you say if you were to learn that it's possible you've been paying too much in council tax? Not only that, but also that you could reclaim the excess you've been paying for as long as you've lived in your property or from 1993, whichever is apt. Now that would be worthwhile, not only for the payout, but also for the black eye it could give the local council. Since they rely on the income from council taxes, you can understand why councils haven't been too eager to spread the word about the fact that a number of people have been overpaying for years. The problem began in 1991. Back then houses were valued and put into different bands for council tax purposes. The bands ran (and still run) from A to H, A being the cheapest and H the most expensive. Tax is charged according to the band your property is in. You'd imagine that such an event would have been thoroughly and carefully organised, but it wasn't. Indeed, much of the banding was left to local estate agents, who simply drove past and allocated a band (although, to be fair, it was roughly based on house prices). Estimates of just how many houses have been incorrectly banded vary greatly. Those in the business of helping people reclaim money insist the number is in the high thousands, but the Valuation Office Agency, which handles banding nationally, insists the number is actually tiny. It's notable, though, that the VOA revaluation promised in 2005 has been postponed indefinitely. Let's say you live in a street where your house is comparable to most of the other houses (or perhaps you live in a block of flats). The first step is to discover what band the other houses are in and compare it with your own banding. That's easily achieved. Simply go to the Valuation Office Agency website (www.voa.gov.uk) and click on the "Council Tax" link. That applies if you're in England or Wales. If you're in Scotland, go to the Scottish Assessors Association site, www.saa.gov.uk. If you're in a higher band than your neighbours, you might have a case. However, before you go any further, go back and check the 1991 prices of the properties, since the bands were calculated from those. Use the Nationwide House Price Calculator (www.nationwide.co.uk/hpi) to determine the price of your house and other comparable properties in the street in 1991. You'll find you have to reverse the process a little, as it's intended to let you see how much your house has gained in price, but it's easily enough accomplished. Once you have that 1991 figure, simply compare it with the table on which bands were assessed. If by checking both the bands of neighbours' houses and the 1991 valuation, you believe you're in a band that's too high, go ahead and make a challenge. Be warned, however, that not all challenges succeed. When you ask for a reassessment, it could end up with you being slipped into an even higher band and owing yet more council tax. Like any gamble, there's risk involved. Contact your local listing officer, who deals with tax banding (or local assessor in Scotland). 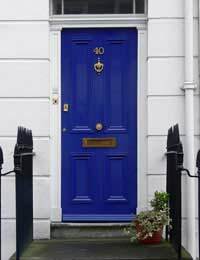 If you've lived there longer than six months, write stating that you believe the property has been wrongly banded, and why (it's much easier to have an assessment done if you've been in the property less than six months). The VOA has an official list of reasons for appealing against banding, and your case will look stronger if you quote from this. You also have the option of appealing directly to the VOA or SSA online. If your challenge is turned down, you might have grounds for appeal, but proceed cautiously. But if you succeed, you will be re-banded, and you can expect a rebate of your overpayment, from the time you took over the property (or from 1993, if you've lived there since then). Hello... I lost my wife in 2012.I lived alone for 5 years and at the time did not know that I was entitled to a reduction in my Council tax. Is it too late to make an application now. Manythanks. I. Short. @Jojo - you paid this? It very much sounds like a scam. What you should have done was to put down the phone and ring up the council tax offices yourself and ask whether you were due a rebate. They would have looked into the matter free of charge. Sorry to say it looks like you've been had :( P.S I'd report it to the police and/or Action Fraud. Hi I brought my property in 1991 and my council tax band should of been c but I was put in d and still am. The other property’s in my road our d&e band but they our bigger property’s than mine and our detached mine is semidetached could I get my band changed. Hi. I got married 4 years ago and only just noticed this week that my wifes name was still her spouse name on the council tax bill. We must never of informed them when we got married. How ever ive been paying too much the past 4 years so would I be able to claim it back?? You would have to speak to the council tax office directly to see whether this is possible to claim. You would have to contact your local council tax office to find out whether you have overpaid. You would have to speak to your council tax offices directly, as you may have grounds for a repayment/rebate. Hi can you inform Andy who tried to get information about over paying council tax due to wrong banding. I have contacted my council by email saying a needed copys of council tax’s banding back dated to 1993 due to doing an online course into changes in council rates which they sent me could work for him to good luck. Hi can you inform Andy who tried to get information about over paying council tax due to wrong banding. I have contacted my council by email saying a needed council coots if council tax’s banding back dated to 1993 due to doing an online course into changes in council rates which they sent me could work for him to good luck. Over a year ago I left Salford which came under Salford City Council on the 1st June 2016 and they charged me council tax up until September 2016 . Since they were aware of where I was moving to I had no choice but to pay. I endlessly challenged this because it seemed contrary to the procedure of liability to pay council tax when I leave an area. The council said they were aware of me leaving but was " instructed " by the landlord as they weren't aware if the property was unfurnished or furnished. Should I really of paid council tax once I've left an area and then be told the landlord instructed them to do that? If you leave an area you should only pay for the amount you pay when you reside in that council? My property has recently been rebanded to D after I contacted Valuation Office. Although I have been incorrectly paying band E since property was built in 2003.I have been informed that I can only claim rebate from 2011 in Wales.Is this correct? My dad passed away in 2012 and we think he was overpaying council tax for years in the wrong band can we claim a refund as the home has been sold now ? You would need to apply to his local council offices directly to find this out. I have been overcharged for council tax since its inception. I was placed in Band C, but should have been in Band B. I challenged this just two months into the tax at the start, Ashford Borough Council informed me I had no right to seek a change. I have now been re banded to band B, 25 years on.The council refuse to provide figures relating to overpayment. Total disgrace. You could complain to the Adjudicator's Office, which covers complaints about VOA administration (such as mistakes or misleading advice, not disagreements with its decision). Please see Money Savings Expert link here which will tell you how you can challenge the decision. I have found out that I have not claimed the single persons discount for 5 years - can I claim that far back? It depends on the rules of your local council and whether it will let you put in a backdated claim and if so whether there is a time limit on how far back you can go. You may also have to prove that you were actually living alone through this time and have a good reason for not previously applying for your annual 25% single person's discount. You will need to contact your council tax office directly to find out its policy. I have found out that I have not claimed the single persons discountfor 5 years - can I claim that far back? I have been informed that my council tax has been overpaid because I am exempt.The amount is owed to me from previous years from 2013.How will they pay the amount due to me. You would have to contact your council directly to find out this information.